Some of the most sought-after tourist destinations in India include places of amazing South India. The south section of India is popular for its lush forests, tea and spice farms, notable peaks and viewpoints, wonderful gardens, pristine lakes, breathtaking valley and revered sanctuaries. This South India Escape tour offers you a great chance to spend some cherry time with your loved ones and make your trip worthwhile. The destinations we cover include Ooty, Coonoor, Kodaikanal and Munnar. Read the itinerary for further details. On your arrival at Coimbatore meet our IHPL representative and proceed to Ooty. Popular as the 'Queen of hill stations', Udhagamandalam (Ooty) is considered as the paradise for nature lovers. One can have a vivid view of tea and coffee farms, trees of conifers and pine. Upon reaching Ooty, check-in at a hotel and settle down. The rest of the day is free for you to explore the pleasing Ooty. You can indulge in shopping; the most popular and unique buys in Ooty include cheese, spices, handmade chocolates, tea and aromatic oils. Later, return to the hotel, have dinner and stay overnight. On second day of the tour, indulge in an unhurried breakfast and get ready for a sightseeing tour to Ooty. Begin your trip from Doddabetta peak, around 8km away. This is the highest peak of Nilgiri Mountain Range. Heading forward, you get to see a Telescope House at the peak, offering great view of slopes and magnificent Chamundi Hills. Further, you proceed to Botanical garden (around 2km). 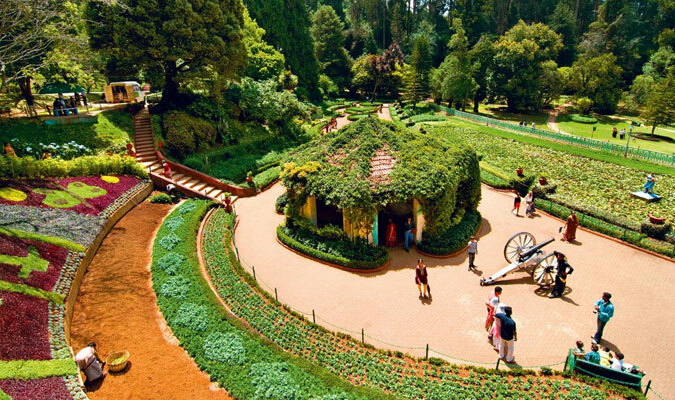 Paradise for nature lovers, Botanical garden in Ooty boasts of wide variety of flora and fauna. Then you head to Charring Cross, one of the most interesting places to visit in Ooty. Relish the mouth watering cuisines at a good restaurant (on your own). Done with all your shopping and lunch, you head to Tea Museum/Factory. Inside the museum, you can watch the method of tea processing, witness the exhibits and taste homemade chocolates like rum and raisin, and honey and roasted almonds. Next, enjoy a joyful boat ride in Ooty Lake. 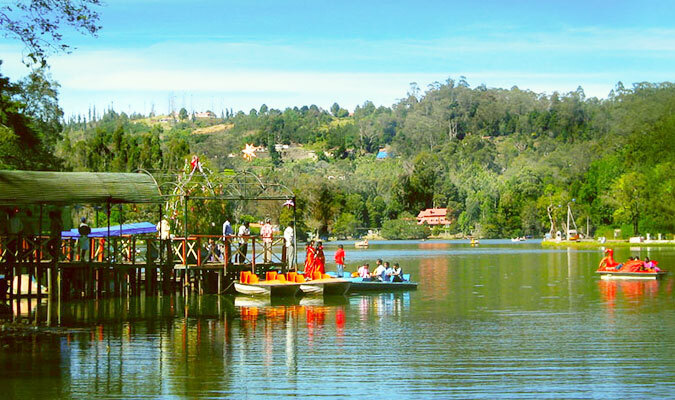 The pristine Ooty Lake is one among those places where you can spend some serene moments and adore the beautiful surroundings of tall eucalyptus trees. On the third day, have breakfast and drive to Coonoor. The lush greenery of the place might leave you fascinated. Moreover, the place is also renowned as A Trekkers Delight. Thereafter, visit some of the famous tourist places in Coonoor, namely Sim's park (the park boasts of marvelous collection of trees including Burma teak, rudraksh and mahogany), Lamb's Rock (one of the striking viewpoints, offering panoramic view of picturesque Coonoor) and Dolphin's Nose (another popular viewpoint, presenting you a wonderful vision of Catherine falls). After exploring lovely Coonoor, leave for Kodaikanal. On your arrival at Kodaikanal, check-in at a hotel and settle down. Either you can relax in the hotel or go out for shopping. Visit the famous Pine Forests (blessed with tranquil ambience, it is perfect place for photo fanatics) and Green Valley View Point (the fantastic view of the valleys from the top might leave you awestruck). You can now enjoy food at nearby restaurants (on your own). Then you head to Pillar Rock, one of the revered tourist spots in Kodaikanal. 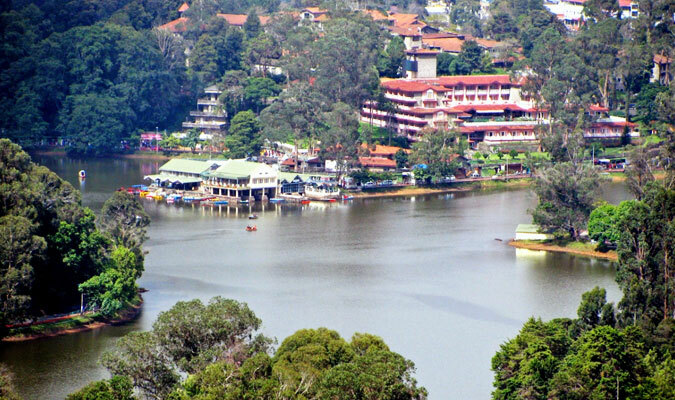 In the evening, get ready for a rejuvenating boat ride in the Kodaikanal Lake. Return to the hotel, have dinner and stay overnight. Have breakfast and drive to Munnar. Surrounded with lush forests, Munnar is an amazing hill station; well-known for its spice and tea farms. En route, you can stop at some restaurant and have a sumptuous lunch (on your own). Upon reaching Munnar, check-in at a hotel and settle down. Later in the evening, you may go out and visit the local markets of the place which are famous for different varieties of spices, homemade chocolates and tea. Thereafter, return to your hotel room and enjoy a delicious dinner and go to sleep. 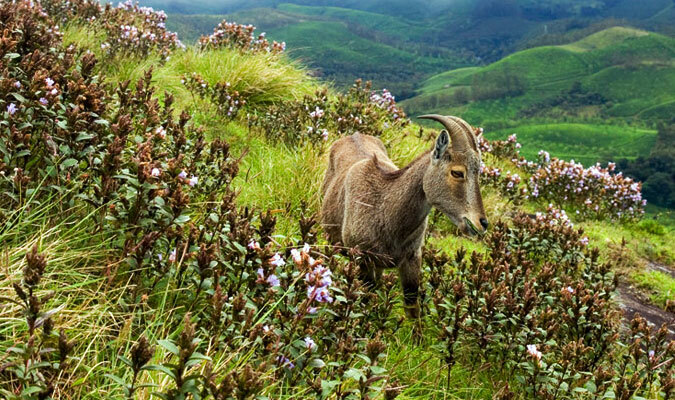 On the sixth day of your South India Escape tour, you head for sightseeing in Munnar. Begin with the famous Tata Tea Museum, a great place for history-buffs and tea-lovers. The museum includes photographs and tea machines which describe the participation and contribution of leaders to this industry. The tea machines here explain the tea processing steps. A section of Museum also includes typewriters, classic bungalow furniture, wooden bathtub, magneto phone, iron oven and manual calculators. Then visit another major tourist attraction in Munnar, Eravikulam National Park; a sanctuary well-known for its breathtaking beauty of lush forests and wide variety of flora and fauna. The park is home to some rare species of Nilgiri Tahr, Stripe-necked Mongoose, Sambar deer and Golden Jackal. Afterwards, enjoy local food at a good restaurant nearby (on your own). Next, proceed to Mattupetty Lake (surrounded with green tea farms, shoal forests and hilly woods, a great place to spend some peaceful moments), Mattupetty Dam (a storage concrete gravity dam) and Echo Point (the spot is bounded by tea fields, spice gardens and has a feature of echoing of self voice all around). Enjoy rest of the evening at leisure and loosen up. Have your dinner and stay overnight in the hotel. On seventh and last day of your tour, check-out from hotel and drive to Cochin. Then from Cochin airport, board a flight for your onward destination.